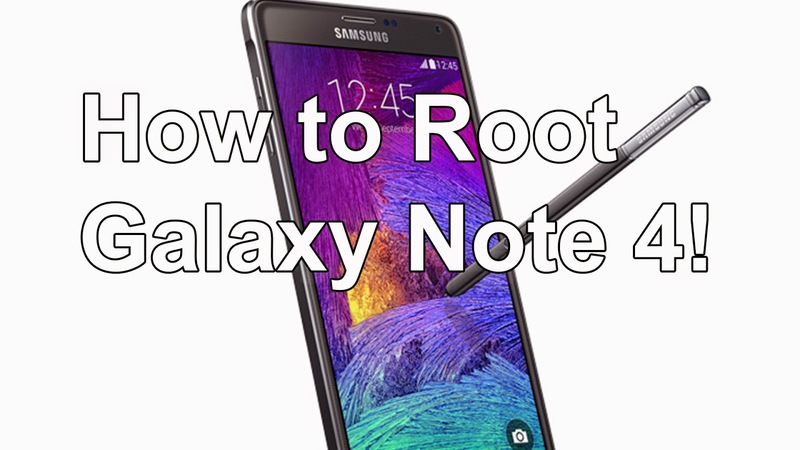 How to Root Galaxy Note 4! ~ AndroidRootz.com | Source for Android Rooting, ROMS, Tricks and More! Rooting the Galaxy Note 4 allows you to not only improve the performance and usability of your phone, but you also improves the experience for the user. Root on the Note 4 gives you the option to remove KNOX, bloatware, and even remove all signs of Samsung's Touchwiz with an AOSP ROM. Follow the guide below to root the Galaxy Note 4! 1. Completely turn off your Galaxy Note 4. 2. Press and hold the volume down, home center button, and power button at all the same time until you see "Warning!!" on the screen. 3. Press the volume up to continue, you should now see "Downloading..."
4. Connect a microUSB cable to your phone and the USB end to your computer. 5. Head over to the CF-Auto-Root for Galaxy Note 4 page. Download the correct CF-Auto-Root for your Galaxy Note 4 model number. 6. Unzip the file you downloaded in step 5. Open up "Odin3-v3.07.exe". 7. Click on PDA and locate a file similar to "CF-Auto-Root-XXXXXtar.md5" This file is located in the folder you unzipped in step 6. 8. You should see a blue highlighted box with a COM number, if you don't see this download and install the Samsung USB drivers. 9. Click on "Start" and your Galaxy Note 4 will start to be rooted. 10. Odin will now show "RESET!". If you get stuck or something goes wrong change the USB port and USB cable and try it again. 11. The Galaxy Note 4 will reboot and you will have an app called "SuperSU" in your app drawer. 12. Open up the SuperSU app and update the SU binary and disable KNOX if asked to. Congrats, you're done! You have successfully rooted your Galaxy Note 4 in less than 5 minutes! Enjoy taking full advantage of your phone! A: Redo the Odin process again, change USB cable, change USB ports, and try Odin on a different computer. Q: I don't see a blue highlighted box in Odin. A: If you don't see the blue box in Odin refer to step 8 to download and install the Samsung USB drivers, restart your computer, and open up Odin again. Q: Will this trip my flash counter? A: Yes, unfortunately there isn't any way to root your Galaxy Note 4 without tripping the flash counter.